Born in Virginia, Nick worked for many years in the communications, advertising and luxury travel sectors before moving into yachting where he worked on board private and charter yachts including 78.6m Princess Mariana and 72m Azteca for more than six years. This enviable experience has given him a deep understanding of the yachting and luxury sectors and how to maximise charter yacht marketing campaigns, making him a valuable asset for the IYC charter division. Complementing this knowledge, his time in the yachting sector – on yachts and ashore – has also given him extensive knowledge of industry regulations, operations and crewing guidelines. Nick is also a member of FYBA and holds 200 Ton Yachtmaster Offshore and OOW tickets. 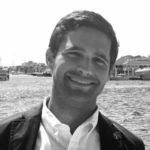 Following his role as Yacht and Charter Manager at Burgess, Nick joined the IYC Fort Lauderdale team in April 2016 as Charter Manager.